I want you to feel your best so you can get back to the important stuff! I visited Strength and Vitality Wellness Center with a horrible neck ache, seeking acupuncture. After a consultation with Cara-Michele, we began the session. After only a few minutes, I was already feeling relief, and I left feeling 70% better. By the end of the day, my pain was gone. Both Cara-Michelle and the woman at the front desk were beyond friendly and welcoming. I felt comfortable the second I walked in the door. Would recommend a visit here for any wellness needs! I highly recommend Cara-Michele and Strength & Vitality Wellness Center. I was suffering from severe dry eyes, preventing me from getting a solid night’s sleep. If my eyes were closed for too long, I would have excruciating pain when I opened them, mostly in my right eye. At one point I was setting my alarm for every two hours all night so I could put in eye drops and then go back to sleep for two more hours. I was miserable. I went to an eye specialist who suggested putting me on a prescription medication which, she said, “might” gradually help over a few months, and which I would have to continue to use forever. I really didn’t want to do that. Cara Michele started giving me regular acupuncture treatments, and within week or so I was sleeping through the night without any pain at all. It was really amazing! I now put in a couple eye drops before bedtime, and that’s it. I sleep soundly, and haven’t woken up in pain in a very long time. I am so grateful. Over the years, I've been to Cara Michelle for a variety of treatments and gotten great results. Most recently, I went to her for help with TMJ. I had talked to a craniofacial specialist and was not impressed by the price or the process which could include surgery. When I went to Cara Michelle, I was in excruciating pain. I was basically taking painkillers every two hours and with a heating pad on my face. And I hate medications of all kinds. The day that I went to see Cara Michelle, I was curled up on the floor on my office with sharp shooting pain in my teeth and jaw. I took even more pills. After an hour in her office, I felt such extreme relief. The pain went away like magic. She even did a great job explaining why I need to stay away from certain types of food, something the dentist did not explain properly. For anyone who had ever experienced crippling pain to the point where you cannot even work, then you'll understand the importance of getting immediate relief. I'll be going back for maintenance sessions and I'm so grateful. Thank you Cara Michelle and Pat for your kindness and professionalism! I tried cupping because of a tight pectoral and lateralis muscles. I was unable to find relief with conventional medicine. I was leery at first but have found cupping to be very effective. I have had these concerns for a while and now excited to get back to my exercise program. A. Most people are surprised that they only experience is a dull ache when the needle is inserted. Points at the extremities, like toe or finger ends, can sometimes be a little sharp, but the sensation last about a half of a second. Q. 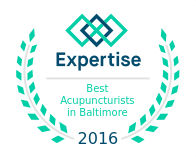 How can acupuncture help me? Q. Will insurance cover my treatments? A. Due to the popularity, most insurance plans have some level of coverage for acupuncture treatment. A quick phone call to your insurance provider will give you the answer. Q. What is cupping massage? A. The placement of special cups on your skin to create suction. People enjoy this type of massage because it helps with pain, inflammation, blood flow, relaxation, and feels like a deep tissue massage. Client are amazed at how relaxing and effective our treatment sessions are. Because we are always looking at pain from an acupuncture, nutrition, and movement perspective, clients tell us that they received a lot more than they ever expected. At Strength & Vitality Wellness Center, we want to work with you to boost your strength and vitality and to help you down the path to a healthy lifestyle. Share the gift of wellness with others by purchasing a gift card today!